Major steps are being made at the Maxey Flats disposal site near Morehead, Ky. The first half acre of geosynthetic clay liner was placed this week (Aug. 10) on top of a layer of leveling fill that’s been put on over the last three months. 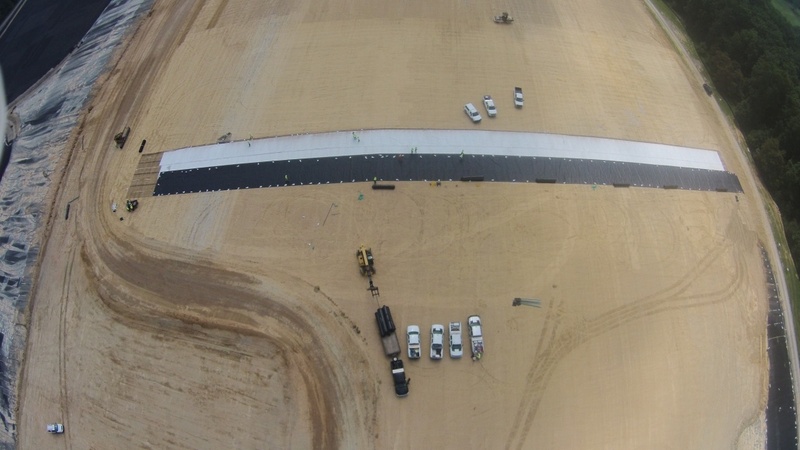 This is the first geosynthetic liner to be placed at the site out of a total of 55 acres to be installed during the construction of the final cap. 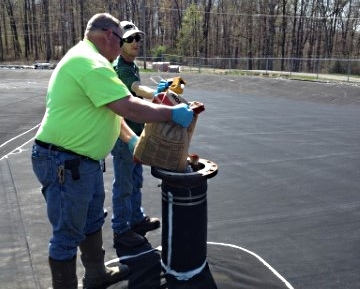 The first half-acre of geosynthetic liner has been placed at Maxey Flats. It’s one of several layers of cover the site will receive over the next six months. HILLSBORO, Ky. (June 1, 2015) – Kentucky is taking the final steps toward capping the Maxey Flats Disposal site (MFDS), Gov. Steve Beshear said today. The Governor, along with state and local officials, joined representatives from Walker Construction and other team members involved with the final cap construction to shovel the first load of dirt onto the synthetic liner that will serve as part of the nuclear waste site’s permanent protective cap. The $35.2 million in funding to complete the final phase of the closure of this nuclear disposal site in Fleming County came at the request of Gov. Beshear. The General Assembly approved the funding in 2012. 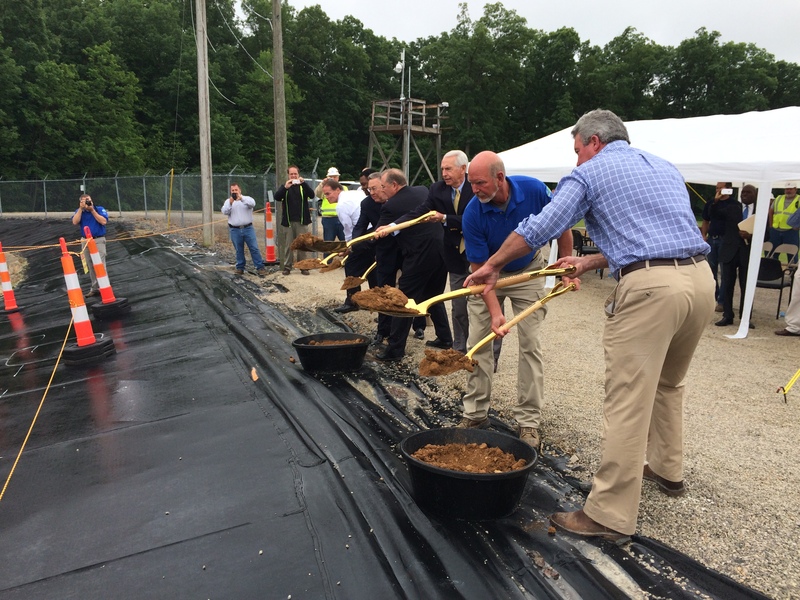 Governor Steve Beshear, Secretary Len Peters, Rep. Mike Denham and Department for Environmental Protection officials ceremonially cover the Maxey Flats disposal site. The first online Construction Progress Report for the Maxey Flats Disposal Site (MFDS) is now posted on the Kentucky Division of Waste Management’s website. This report is a new online tool intended to inform and educate anyone interested in MFDS final cap construction progress and related activities. 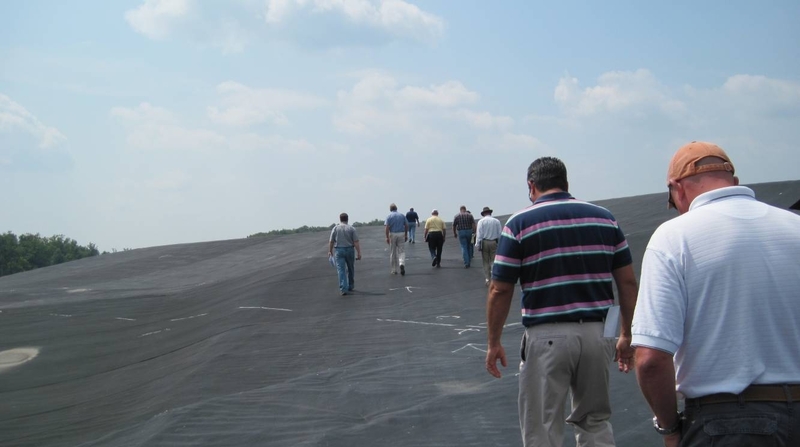 Contractors interested in bidding on the final cap construction contract walked across the existing reinforced geomembrane liner at the Maxey Flats Disposal Site in Hillsboro, Ky., as part of last week’s mandatory pre-bid meetings. Crews are making great progress at the Maxey Flats Disposal Site. All 274 trench sumps are undergoing preparation for the final cap. 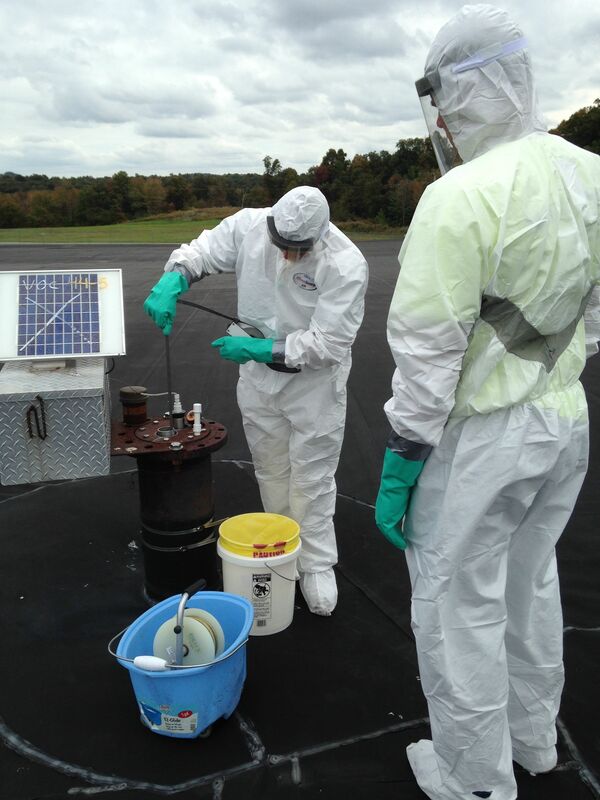 Check out these agency photos of recent work within restricted area. Personnel conduct measurements on one of the trench sumps to be abandoned at the Maxey Flats Disposal Site in Fleming County. Photo: Kentucky Division of Waste Management. 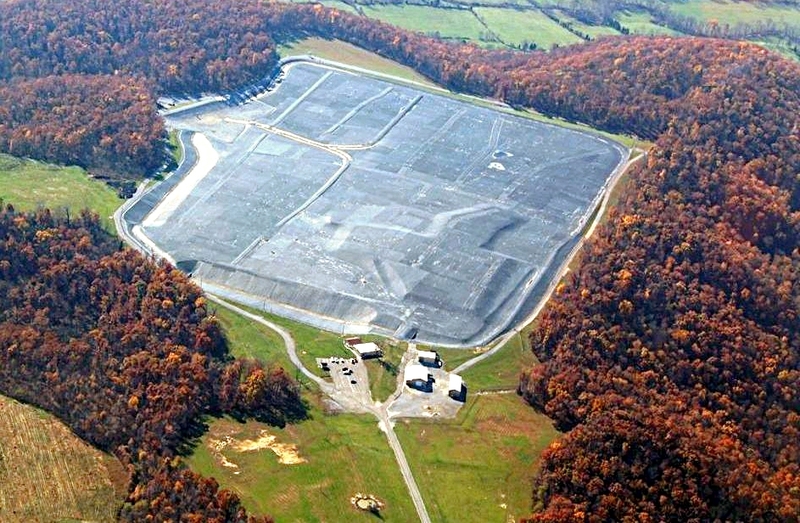 The Commonwealth has entered into a contract with Remedial Construction Services, L.P. (RECON) to abandon the trench sumps at the Maxey Flats Disposal Site. RECON met the qualifications and was the lowest bidder in a sealed bid advertisement, with a bid of approximately $1.1 million.